Quick overview Claude Cahun and Gillian Wearing came from different backgrounds and different times - about a century apart. Together with her female partner Marcel Moore, Cahun was imprisoned in German-occupied Jersey during the Second World War as a result of her role in the French Resistance. This book includes reproductions of over 100 key works. 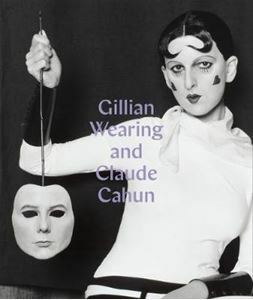 Claude Cahun and Gillian Wearing came from different backgrounds and were living in different times - about a century apart. Cahun, along with her contemporaries Andre Breton and Man Ray, belonged to the French Surrealist movement although her work was rarely exhibited during her lifetime. Together with her female partner, the artist and stage designer Marcel Moore, Cahun was imprisoned in German-occupied Jersey during the Second World War as a result of her role in the French Resistance. Wearing trained at Goldsmiths and became part of the Young British Artist movement, winning the Turner Prize in 1997. She has exhibited extensively in the UK, including at the Whitechapel Gallery, and overseas, most recently at the IVAM in Valencia. Despite their different backgrounds, obvious parallels can be drawn between the artists: they share a fascination with identity and gender, which is played out through performance, and both use masquerade and backdrops to create elaborate misenscene. Wearing has referenced Cahun overtly in the past: Me as Cahun Holding a Mask on My Face is a reconstruction of Cahun's self-portrait of 1927, and forms the starting point of this exhibition. In this book, Sarah Howgate, who has worked closely with Wearing, examines the self-portrait work of both artists, investigating how the cultural, historical, political and personal context affects their interpretation of similar themes. The book includes reproductions of over 100 key works, presented in thematic sections including Artistic Evolution, Performance, Masquerade and Momento Mori, accompanied by a commentary. The last section features new works by Wearing: a 'collaboration' (of sorts) with Cahun. The book also includes a revealing interview with Wearing by Howgate and an illuminating essay on Cahun by writer and curator Dawn Ades.